Vacation rental villa. Sleeps 2, 1 bedroom, 1 bathroom. Dogs allowed. 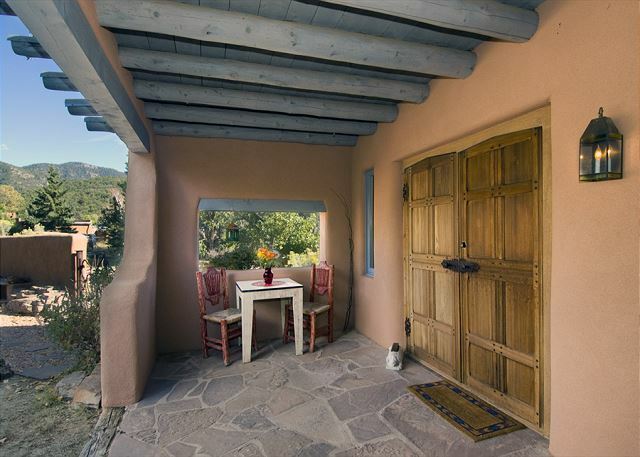 This charming one bedroom with queen bed and full bath is tucked away behind adobe walls surrounding the main courtyard with views of Pacheco-Atalaya - the Sun and Moon mountains. 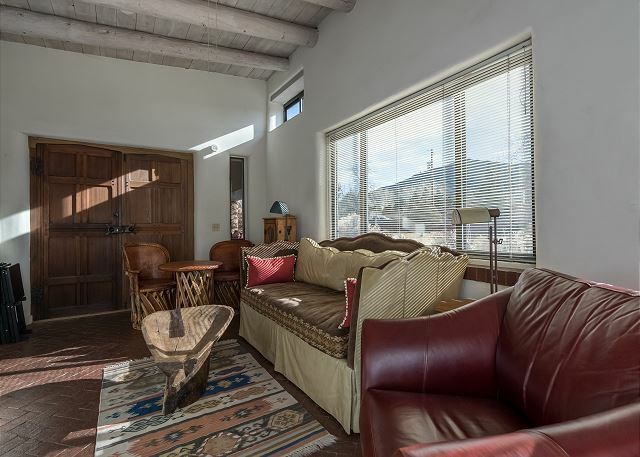 The traditional "hacienda" design offers true Santa Fe charm with beamed ceilings, Kiva fireplace and brick flooring. The quaint kitchen offers dining for 2. Enjoy al fresco dining at the entry covered portal with views. 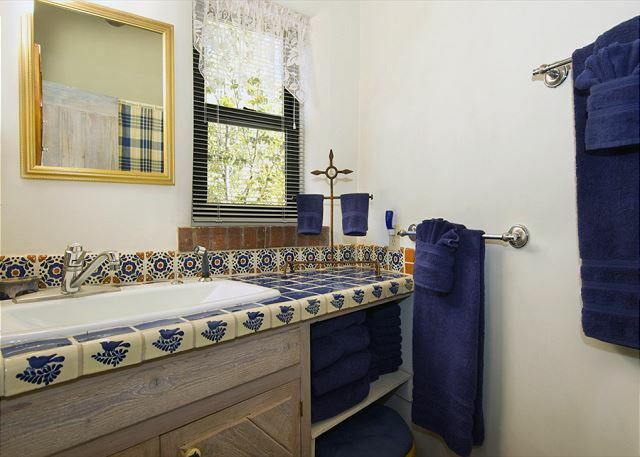 Washer/Dryer, cable television, wireless internet, landline with free long distance. Approximately 750 square feet. We loved this neighborhood, especially all the walking trails. 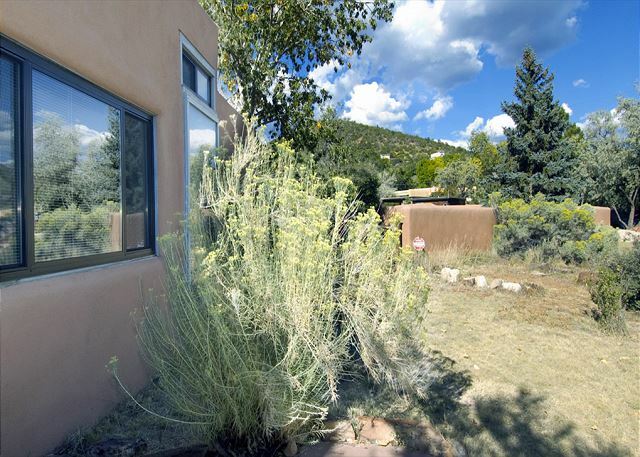 The outdoor space at the casita is exceptional as well. 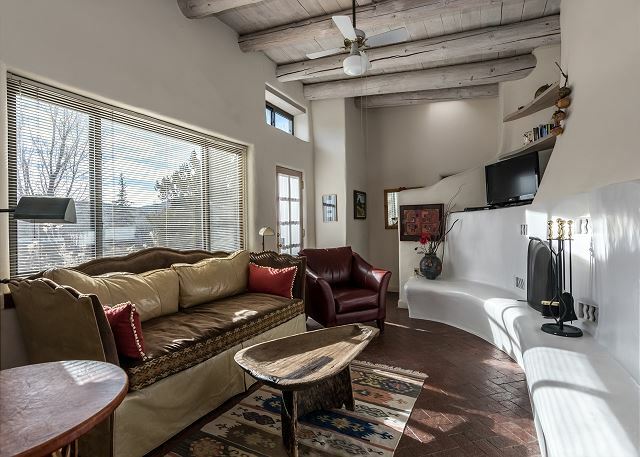 We love the casita at 1316, so much so that we plan to move back into it in October until May 2019. It is small and needs a little work around the windows, but it is also very perfect and quaint. 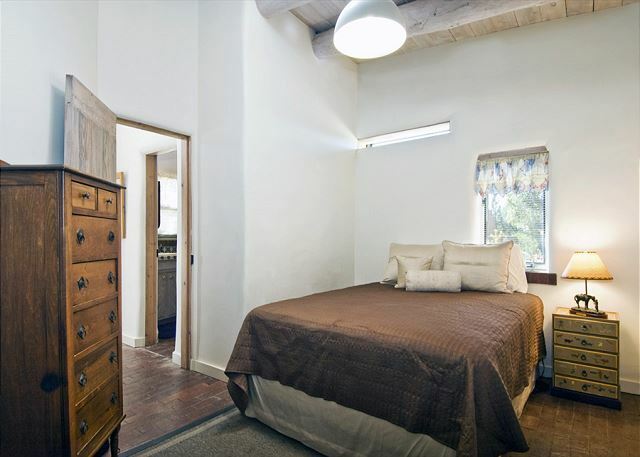 It has a great open space yard area and is close to the plaza while being in a country setting..
a guest from New York, NY does not recommend this vacation rental. Too small for two people and two dogs. Good for a very short stay-- we stayed a month and that's too long. This house needs major updates. Couches are old and worn, shower head is too low, and some appliances need updating. Bed is comfortable, its quiet but the main house always had different visitors coming and going.